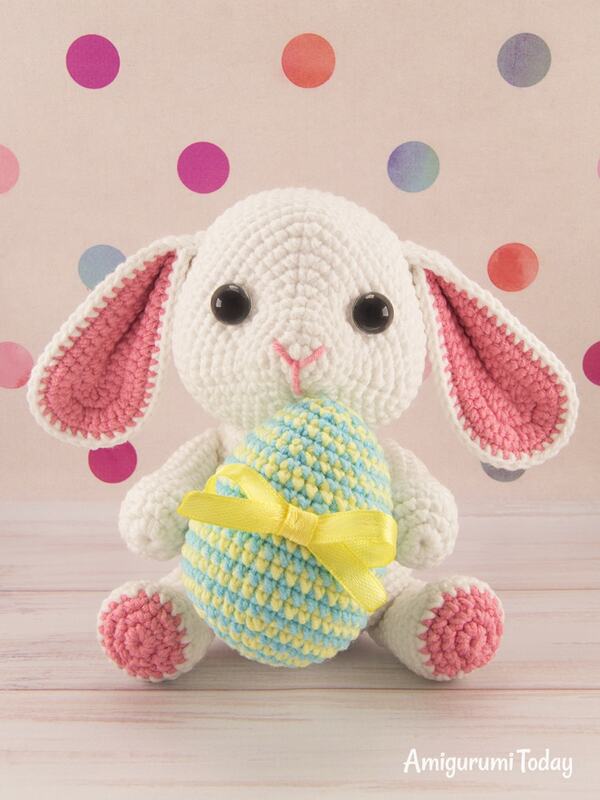 Make Easter a little more magical with this cute lop-eared amigurumi bunny! 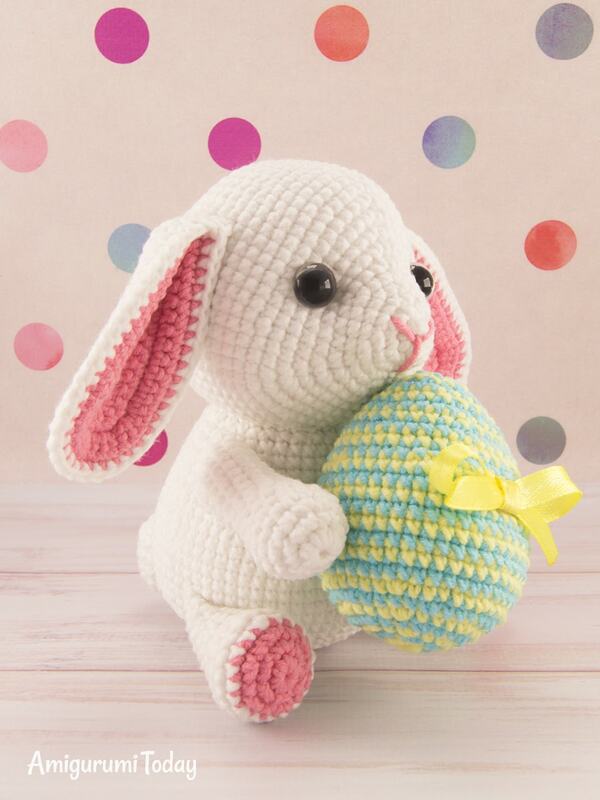 Crochet it today with our step-by-step bunny pattern! 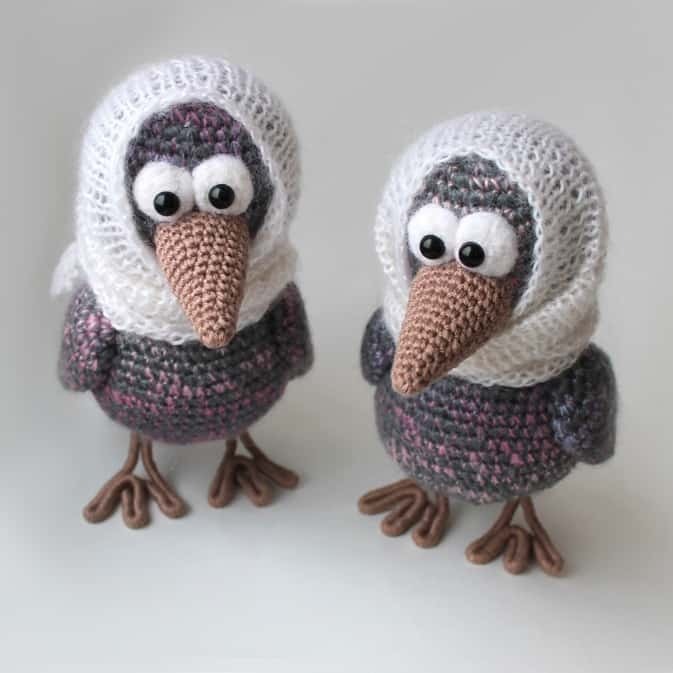 The size of the finished toy is about 11 cm (4.3″) when sitting. 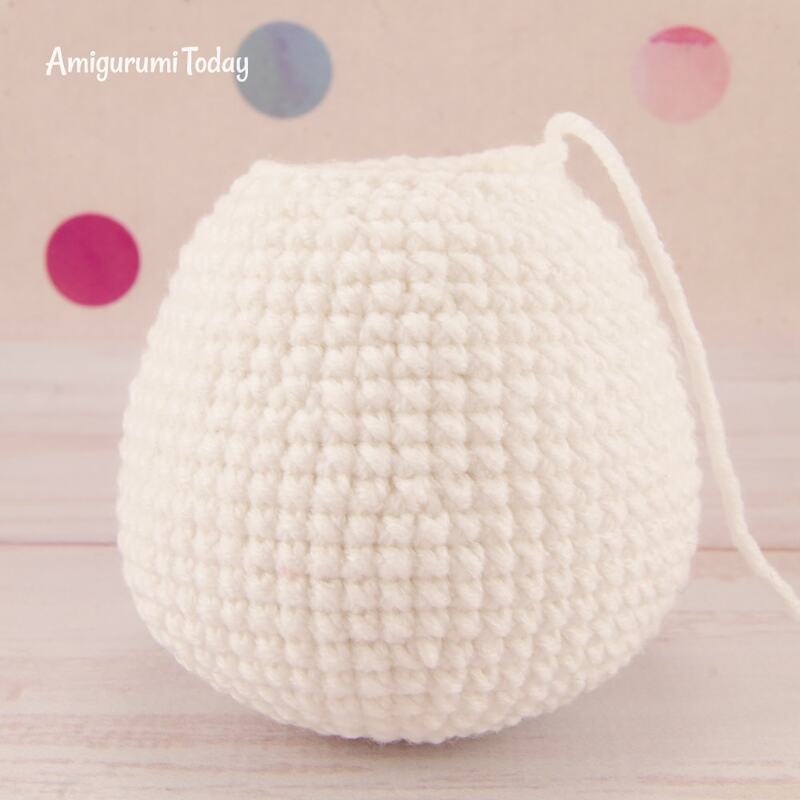 Please pay attention that the size of your amigurumi bunny can be different, if you use the yarn of other weight. Insert safety eyes between Rnd 9 and Rnd 10 equidistant from increases. 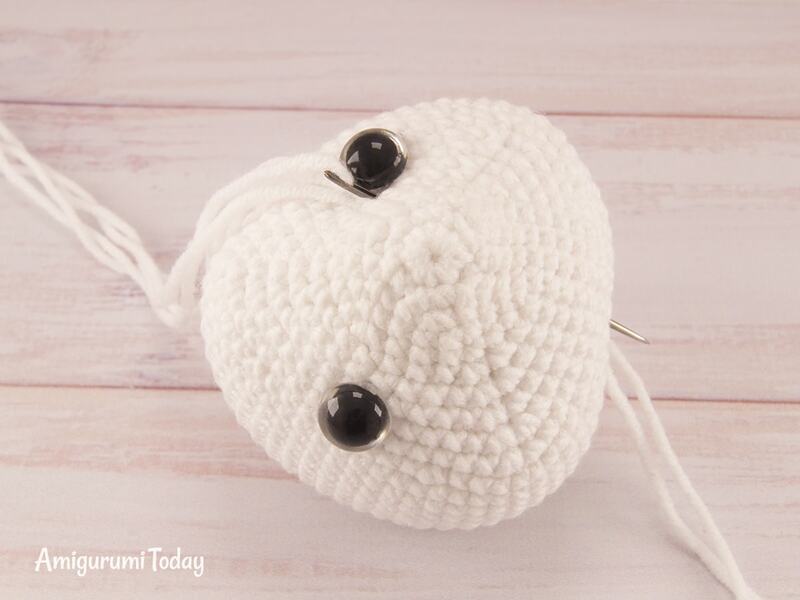 Insert the needle with white yarn between Rnd 16 and Rnd 17 (in the neck area) and draw it out at the eye. Step aside a little bit (to seize the stitch) and insert the needle, then draw it out at the beginning point. Pull slightly and fasten off. Repeat the same steps for the second eye indent. 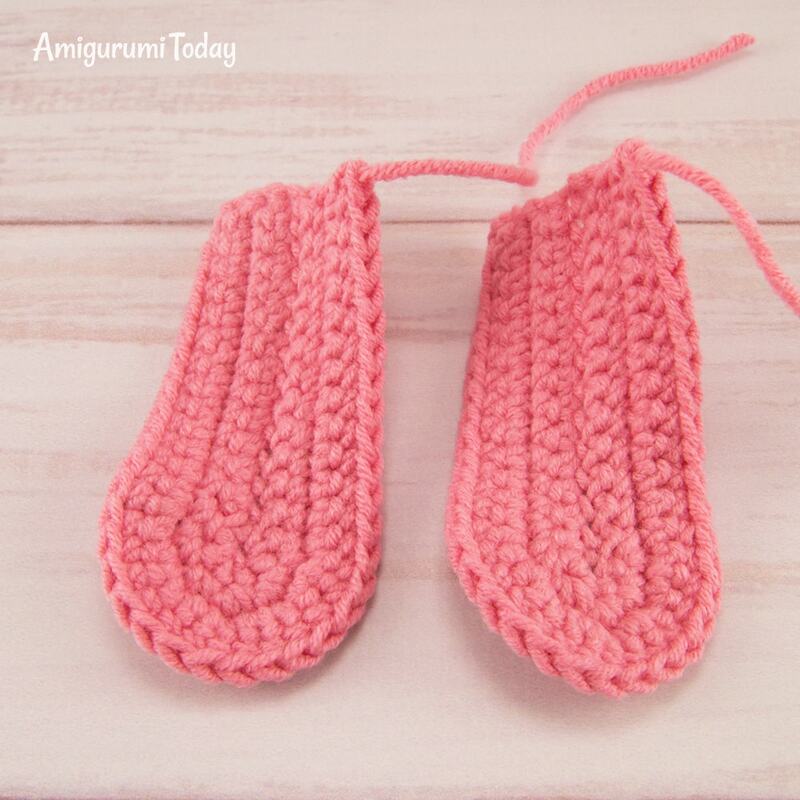 Crochet 15 ch with pink yarn. 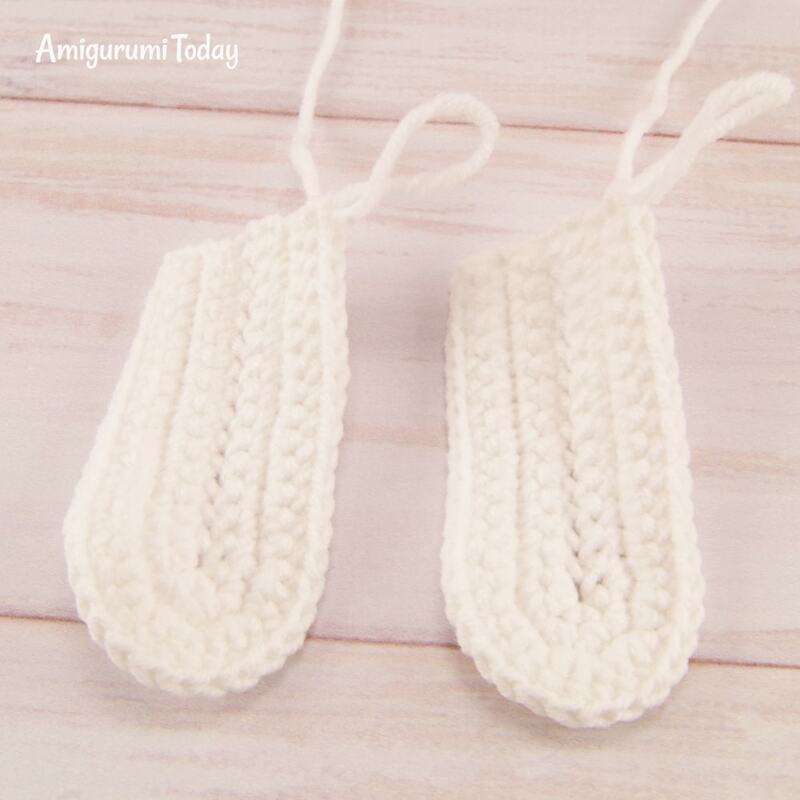 Turn and continue working, beginning from the 2nd ch from your hook. 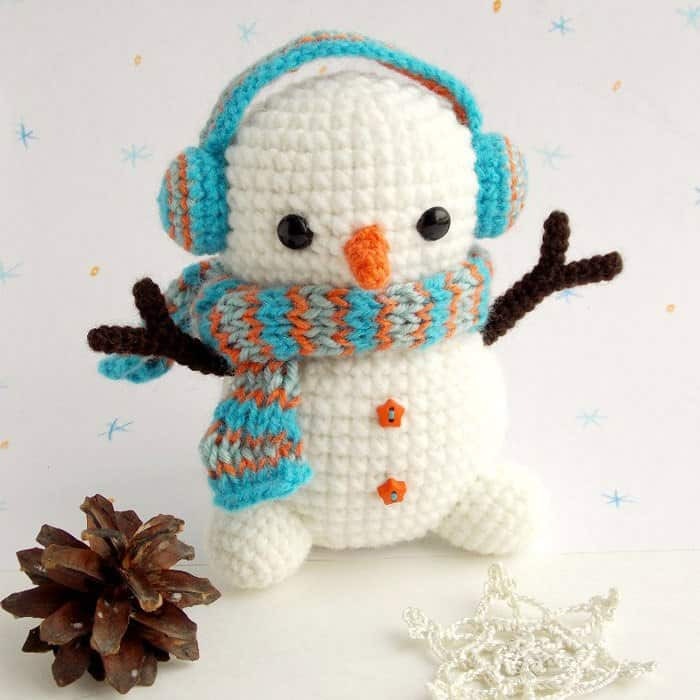 Crochet 15 ch with white yarn. 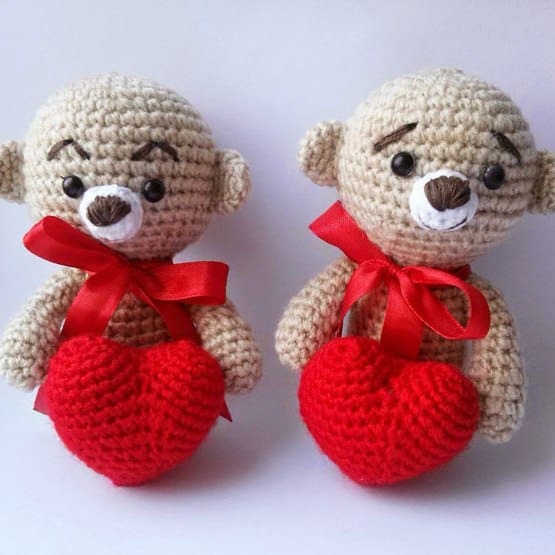 Turn and continue working, beginning from the 2nd ch from your hook. 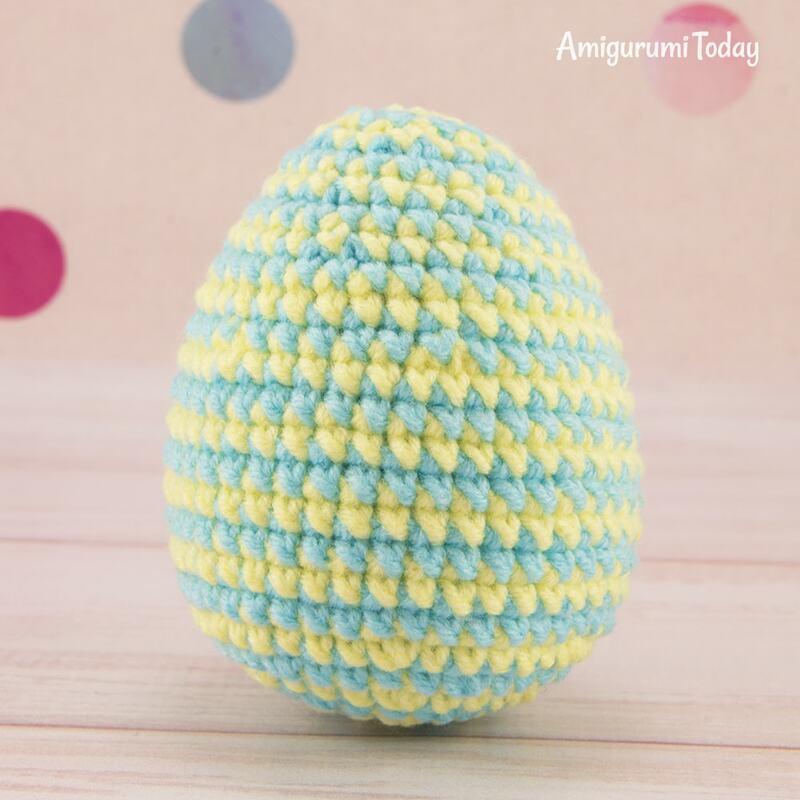 Crochet in continuous rounds alternating yellow and blue colors. Begin with yellow color. 2. 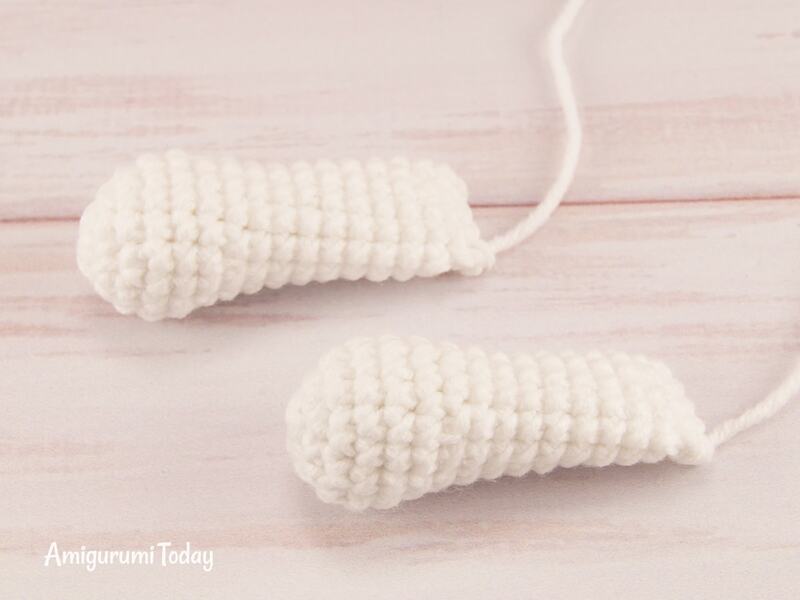 Sew the legs to the body at Rnds 7-11. 3. Sew the arms to the body at Rnd 21-24. 4. Sew the tail to the body at Rnd 10. 5. Sew the ears to the head at Rnds 17-20. 7. 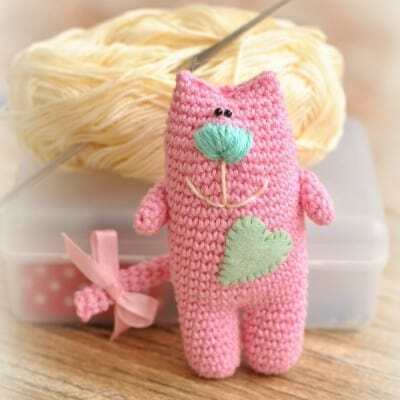 Embroider a nose with pink yarn. 8. Tie a bow on the egg with satin ribbon. 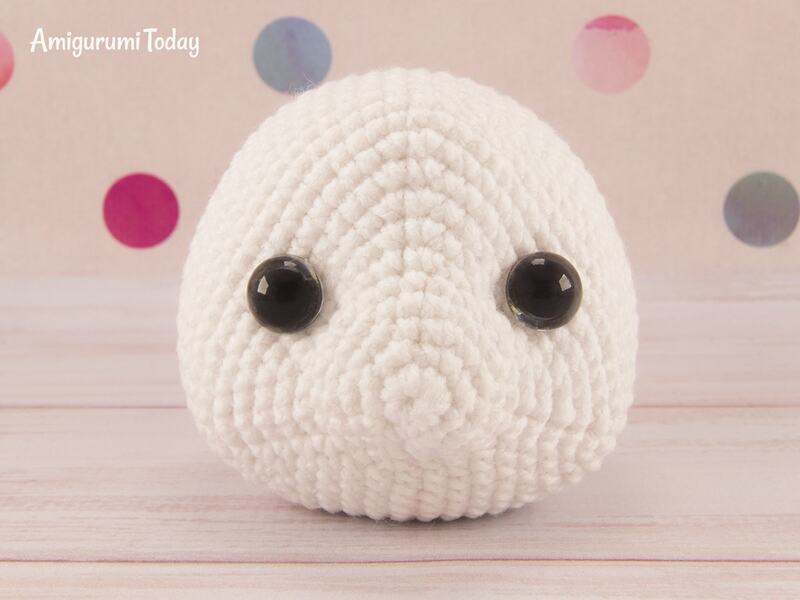 Sew the egg to the arms. 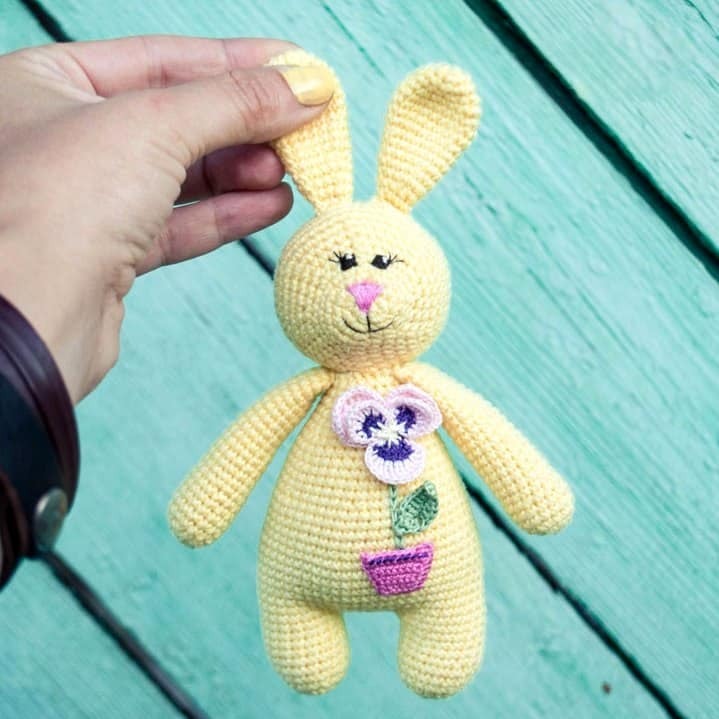 Your amigurumi bunny is done! Happy Easter! No es difícil kaNo es difícil una ves que entiendes aunque si son rebuscados cuando explican de esa forma los patrones. Cuando dice:. (st in next 5st, Inc)repeat 6 times. ,// Quiere decir (5p, 1au)*6. Recuerda que “dec” es disminución. 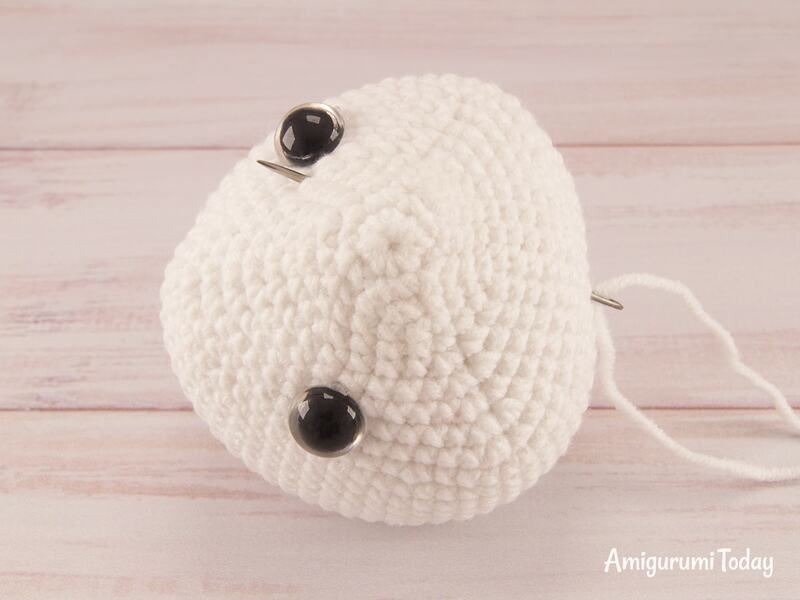 Lo que no me gustó del pots es que dijo 10cm y a mí me quedo de 15cm y yo lo hice con aguja de 2mm e hilo finito y aún así se excedió en el tamaño. Para el que lo ara le aconsejaría poder achicar un poco la cabeza o por lo menos a mí no me gusto o mejor dicho a mí no me gusta cuando son muy cabezones (maña mía lo del tamaño de las cabezas) . 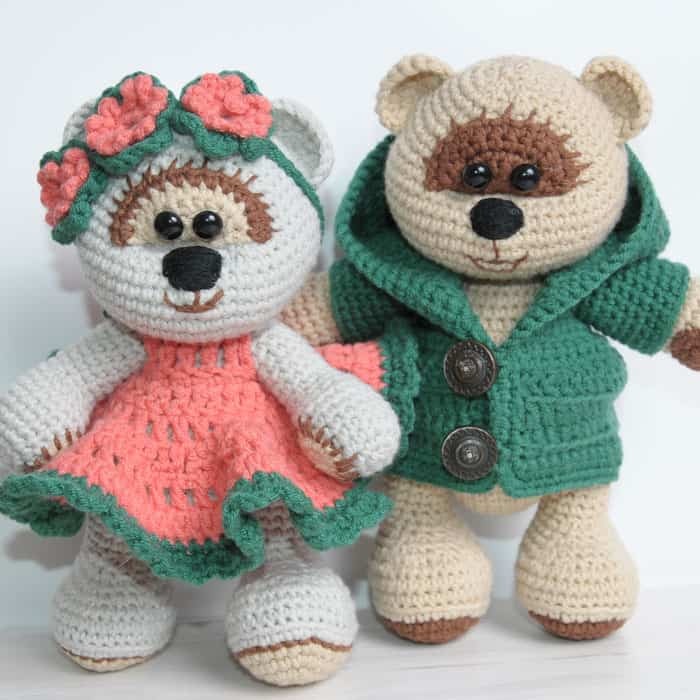 🧸♥💐This little easter bunny is soooo cute! Thank you so much for sharing!